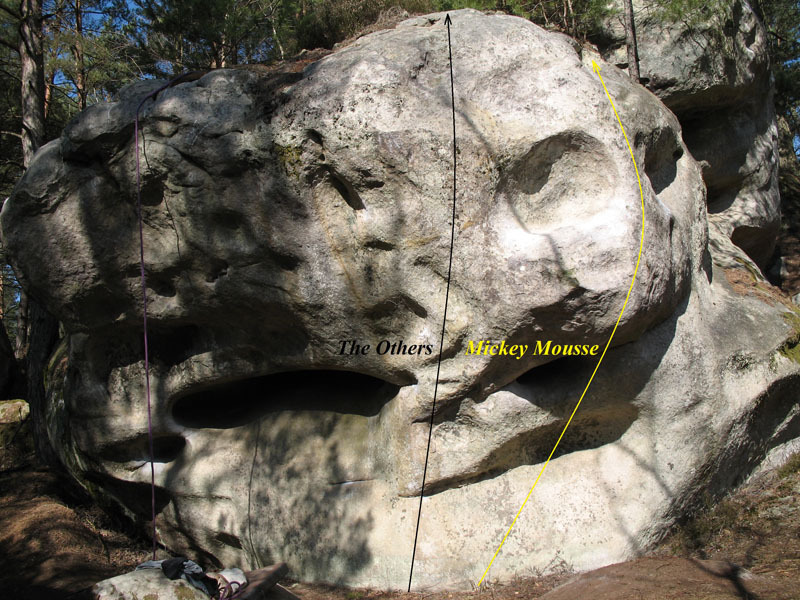 Sitstart to the left (without crash-pad) with a bidoigt right hand and a vertical hold left hand, climb the wall just left of Mickey Mousse with the sloper right hand and exit directly with a hold on the left (morpho). Avez vous répété la version 7b pour coter cette sortie 7c+? ?